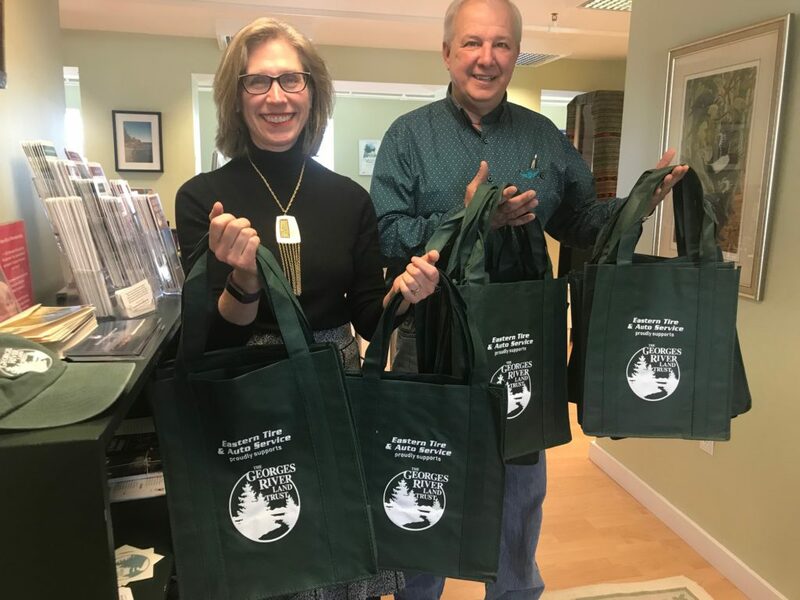 Georges River Land Trust has received a gift of reusable shopping bags courtesy of Eastern Tire and Auto Service of Rockland in support of the Land Trust’s greater mission to protect the environment. They are currently available for distribution to members and supporters at the Land Trust’s office on the second floor of the Free Press building at 8 N. Main Street in Rockland, while they last. Thank you Eastern Tire and Auto Service! !